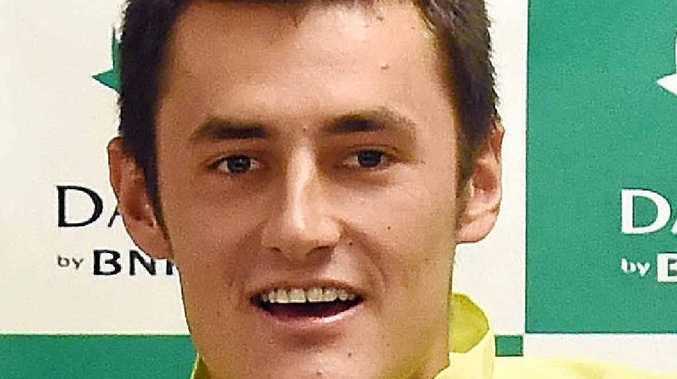 ONCE dumped from Australia's Davis Cup team for his poor attitude, Bernard Tomic has emerged as the trump card in the first-round tie against the Czech Republic, starting in Ostrava tonight. With Nick Kyrgios, Australia's highest-ranked player at 36, withdrawing due to his ongoing back complaint, Tomic will be the go-to man in the singles ties. Returning captain Wally Masur was yet to announce who would play the other singles, the options being big-serving Sam Groth or veteran Lleyton Hewitt. The hosts have also been weakened, with world No.9 Tomas Berdych and veteran Radek Stepanek absent. Both were key members of the Czech team that won back-to-back titles in 2012 and 2013, with the squad for this tie to be headed by world No.31 Lukas Rosol and Jiri Vesely (45). The winner of the tie will take on either Italy or Kazakhstan in the quarter-finals.